Gynecologic malignancies account for roughly 13 % of solid tissue tumors in women. Many of these malignancies, such as many ovarian tumors, first present at an advanced stage, making them difficult to treat. Until recently the analysis of these malignancies was largely limited to hematoxylin-eosin-stained slide examination, supplemented with immunohistochemical stains. Recently, molecular diagnostic techniques have been applied to these tumors with some success, especially with BRCA1/2 mutations and Lynch syndrome analyses. 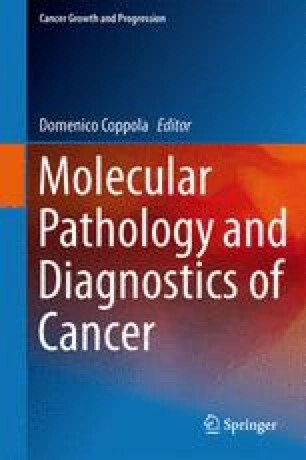 Here, we describe the present molecular diagnostic tests applied to gynecologic malignancies and discuss possible future developments in this field. We would like to thank Miss Jennifer Burton for her help in manuscript preparation and proof reading.